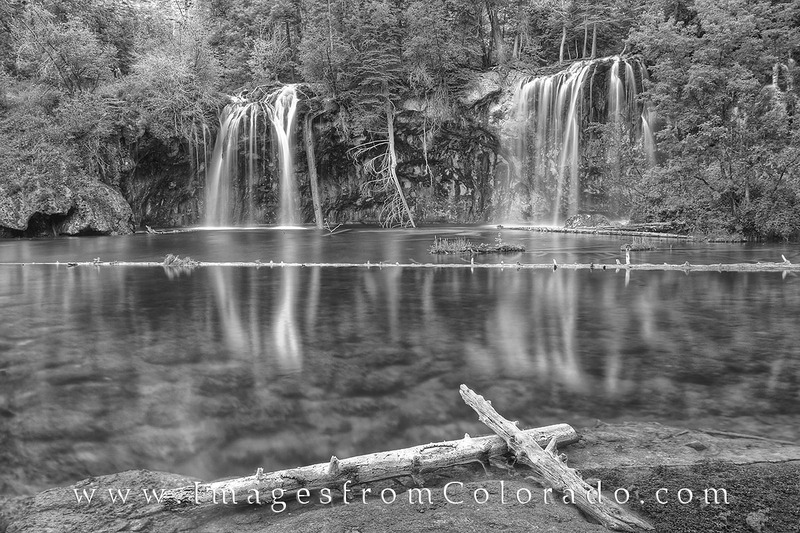 The beautiful colors of Hanging Lake neaer Glenwood Springs also translate into wonderful shades of gray in this black and white image from one of Colorado’s most famous waterfalls. Though crowded during the day, this waterfall is amazing at sunrise when there are no crowds. Whenever I visit, I always try to start my hike up about an hour before sunrise, and it has always paid off with a few moments of solitude before the crowds start arriving. Photo © copyright by Rob Greebon.